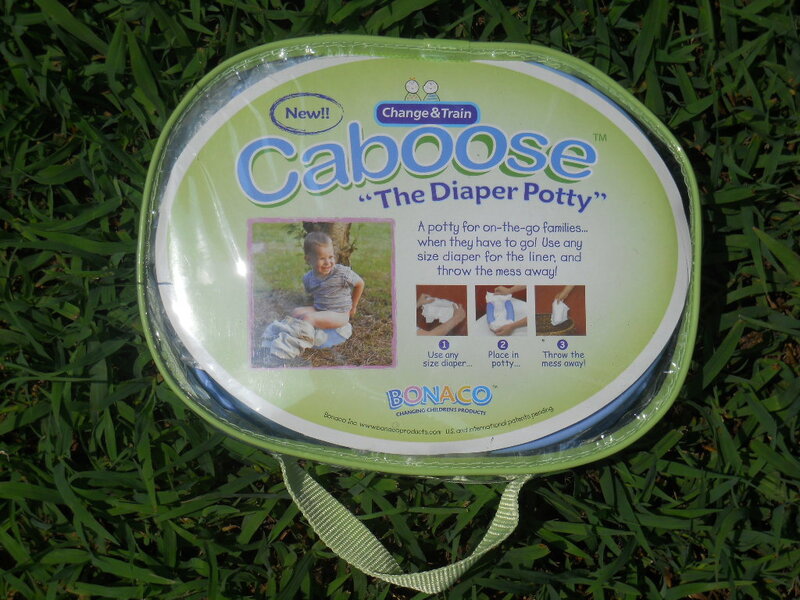 The Caboose is a travel potty that makes it easy to be consistent potty training your child where ever you go. This past week we have been on vacation and the caboose has accompanied us everywhere. It has eased my mind about my children going to the potty while we are not at home. It was also easy to take aboard the airplane and caused no problems when going through security. I am excited to share this review with you. 1. The Caboose is small and compact so it will fit in my diaper bag. 2. The Caboose has it’s own travel case so I can literally take it where ever we go. 3. The Caboose is super easy to use. It is a diaper potty, but can be used without a diaper. Personally, we use the diaper when I know my child has to Poop, and without when she has to urinate. Of course, this depends on the situation but is affective either way it is used. The diaper on the potty doesn’t confuse my child because it isn’t on her body and before she sat on the potty I explained why we were using it and the function of the Caboose. 4. Clean up is easy. It uses any size diaper so we can buy small cheap diapers to line the potty and it will catch the mess. I pour out the urine and use a clorox wipe or other similar wipe to wipe it out before the next use. I always include store bags in the Caboose’s travel case to wrap up the diaper afterwards. 5. The potty is light weight. As a mom of twins I already have to carry a lot in my diaper bag, but the Caboose is so efficient and small it isn’t like I am carrying anything extra at all. During this potty training stage the Caboose is great to use while on vacation and a wonderful accessory to have at the airport. 1. This is very superficial, but more color options would be nice. 2. The option to purchase different sizes would be nice. However, The small size keeps the potty compact, but creating a small, medium, or large option would be better for the different size of toddlers. Disclaimer: The Caboose was sent to me by the company for my review, but all information provided is honest and from the heart. Review & Potty Training Update – I Think She’s Got it! Today I Feel Worn Out, Potty Training Is No Joke! Can a Child be Potty Trained at 3 months?